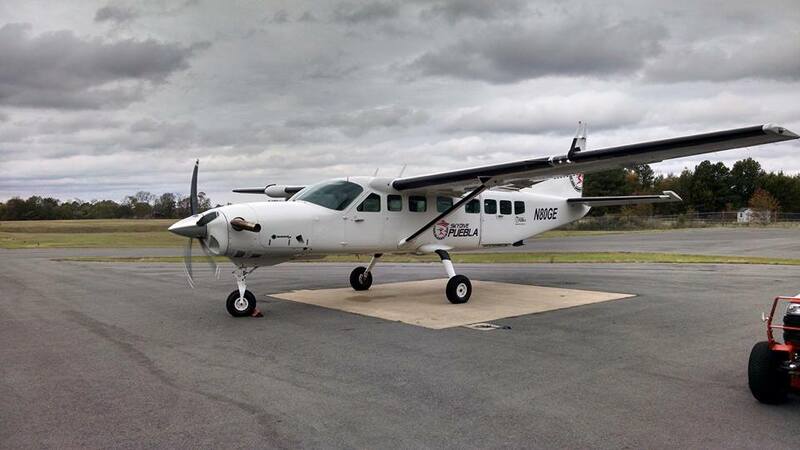 The Cessna Caravan was big to begin with; now it is gargantuan. The Caravan is the largest single-engine airplane ever produced by Cessna. Comparing it to a Cessna 182 is like standing a pro basketball player next to a jockey — the 182 is lost in the Caravan’s shadow. The latest version, the Grand Caravan, is even more imposing. It is 4 feet longer than the original Caravan and is the largest single-engine turboprop utility aircraft currently in production. The prototype Caravan first flew in December 1982. It was intended as a replacement for Cessna 206s, 208s, and other smaller, aging utility aircraft doing hard labor in remote regions of Africa and other places where facilities can be crude and avgas scarce. Even before it was certified in 1984, the Caravan found a big home in the U.S. Federal Express Corporation ordered a specially equipped, windowless version, the 208A Car to expand and extend its overnight small-package pickup and delivery service to medium and small communities. Since then, Cessna’s Caravan business has been driven largely by Fedex’s needs, and after putting its first batch of Caravans in service, Fedex discovered the airplane was limited by volume rather than weight. Cessna’s solution was to add 20 inches to the Caravan’s fuselage ahead of the wing and 28 inches behind the wing. The stretch added 34 percent more volume to the fuselage and resulted in the 208B Super Cargomaster. The 208B will hold 340 cubic feet of cargo. If that still isn’t enough, Cessna offers an optional 111.5-cubic-foot, 1,090-pound-capacity belly pod. Rumor has it that animals and even people have been carried in Caravan pods — illegally, of course, and without question uncomfortably. Cessna increased the 8,000-pound maximum takeoff weight of the Cargomaster to 8,750 pounds for the stretched Super Cargomaster (of the additional 750 pounds, 450 pounds is available for payload) but stuck with the same 600-shaft-horsepower Pratt & Whitney PT6A-114 turboprop engine. However, the Super Cargomaster was restricted to 8,000 pounds for flight in icing conditions because of reduced climb performance at the higher gross weight. Cessna corrected the problem by upgrading to a 675-shp PT6A-114A engine. The Grand Caravan, fourth in the Caravan series, was introduced in October 1990. It incorporates all the best features of the other models, including the more powerful engine, longer fuselage, and cabin hardware that enables it to be quickly converted from a people-hauler to a cargo truck or a combination of the two. Lovely it is not, although there is a certain stately appeal to the utilitarian, efficient look of the Grand. Because beauty wasn’t even on the first page of Cessna’s priority list for the Caravan, designers concentrated on features that help the airplane and pilot do their work better. Ease and cost of maintenance also were primary considerations, starting with the propeller, a fat, three-blade McCauley. Originally, the Caravan used a composite Hartzell. The switch was made to metal because it costs half as much to buy and repair, according to Cessna — which owns McCauley. The Grand Caravan has four doors: one for each crewmember, a right- side airstair door, and a yawning left-side cargo door. The cabin has 14 seats. There is plenty of room for more, but few countries allow more than 14 people in a turbine airplane without imposing some extensive and expensive additional requirements, according to Cessna. (The FAA permits a maximum of nine passengers and two crew.) Firing up the Pratt & Whitney is a simple matter of toggling the battery, fuel boost, and start switches. As the gas generator (Ng) speed passes through 12 percent, the fuel condition lever is moved to Low Idle position. At 52 percent Ng, the starter switch goes to Off. Except for cockpit checks, that’s it. Occasional use of the Beta range to reverse propeller pitch keeps the taxi speed to a manageable clip and helps save the brakes, which are very effective. Mash either pedal, and the Grand Caravan will pivot on a main tire. Pete Hall, a Cessna demonstration pilot and my guide for the day, suggests two notches (20 degrees) of flaps for the takeoff roll. Even though we are about 1,500 pounds under maximum takeoff weight, the initial acceleration is slow, but we don’t cover much ground before rotating at 65 knots. Ground roll for a maximum gross weight takeoff in sea level standard conditions is 1,365 feet, according to handbook figures. Put the nose on the horizon, and the airplane cruise-climbs at 110 knots and between 900 and 1,000 feet per minute. In low-altitude level cruise at 1,900 rpm, the airspeed creeps up to just below the 175-knot VMO. A more representative scenario is a quieter, more comfortable 1,750 rpm at 6,000 feet. Those numbers should yield a true airspeed of 180 knots on about 415 pounds per hour (62 gallons) of fuel, according to the handbook. A cargo pod would scrub about 9 knots off the cruise speed. With 332 gallons of usable fuel, the Grand will fly for 4.6 hours at maximum cruise power with a 45-minute reserve, according to specifications. Our demonstrator for the day, N208CC, is loaded with most of the options on Cessna’s list, including Bendix/King KFC 150 autopilot/flight director system and RDS 81 radar, yet it could still take on full fuel and 1,715 pounds of payload. Reduce the fuel load to half and the power to best-range cruise, and you can carry 2,800 pounds of people and cargo and cruise for three hours at 147 KTAS on 47 gallons per hour. If there is no comparison in size between a Grand Caravan and a 182, there is in flying qualities. In fact, once you acclimate to the height and the spaciousness of the cockpit, you tend to imagine yourself in a smaller Cessna. It’s remarkable that the Grand Caravan can take on two tons of fuel and payload and still handle like a much smaller airplane. Long, single-slotted flaps that incorporate leading edge vortex generators and trailing edge angles (to keep airflow attached and thus maintain the effectiveness of the flaps) enable the Grand Caravan to easily beat the 61 knot stall requirement for singles. Long flaps mean short ailerons, so the Grand Caravan has spoilers to augment roll control. Roll forces are light considering the huge wing, and there is almost no adverse yaw. The pilot has excellent control over the entire speed range of the airplane. To demonstrate, Hall has me transition from cruise to approach by pushing the prop control full forward, pulling the power back to the stop, and selecting full flaps. The airplane noses down as if we are on a ski slope, but the airspeed lounges at around 80 knots. You can pretty much pick the patch of ground you want to plunk down on, even if you’re high and close in to the runway. We have fun shooting spot landings at Maize, a 2,100-foot-long grass strip within sight of Wichita’s Mid-Continent Airport. We try everything — no- flap landings and takeoffs, short- and soft-field approaches and departures, and slips to landing. I quickly feel very comfortable aiming the big airplane at the little strip. From there, we return to Mid-Continent and are given a place in line with arriving jet traffic. Tiny Maize or expansive Mid- Continent — the Grand Caravan is at home in any environment.